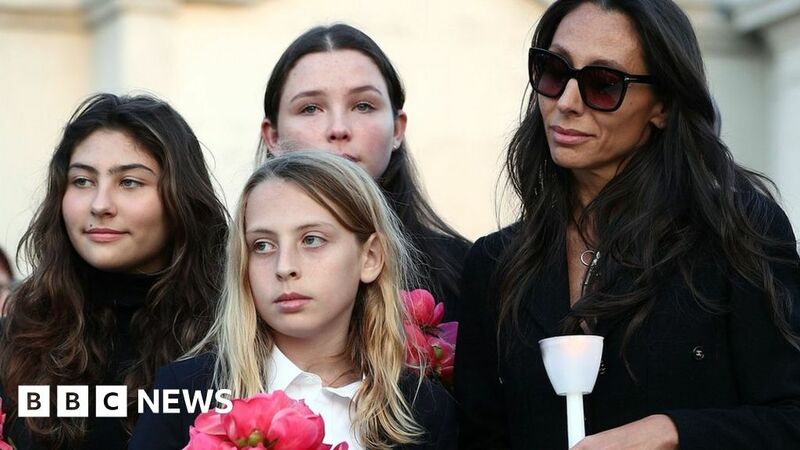 Chris Cornell’s daughter has paid an emotional tribute to her late father on Father’s Day, posting a duet recorded by the pair on his Instagram account. Thirteen-year-old Toni Cornell shared the recording of Nothing Compares 2 U, saying she missed the Soundgarden singer’s love “every day”. Cornell was found dead following a concert in Detroit last year. He is understood to have hanged himself. “You were the best father anyone could ask for,” Toni Cornell wrote. Alongside a photo of her father holding her as a baby, his daughter wrote: “Daddy, I love you and miss you so much. “Our relationship was so special, and you were always there for me. “You gave me courage when I didn’t have any. You believed in me when I didn’t. “I miss your love everyday. “Recording this song with you was a special and amazing experience I wish I could repeat 100 times over – and I know you would too. Cornell, a leading voice of the 1990s grunge movement, was most famous as the lead singer of Seattle band Soundgarden, which formed in 1984 and went on to release six studio albums. He later joined the supergroup Audioslave and had his biggest hit with the 2006 track You Know My Name, the theme song to Bond film Casino Royale.